In seeking out information on him we identified at least two painters who were at the Ogontz School. The first of these profiled here pre-dates Quirk's tenure on the Ogontz faculty. Eleanor (Massey) Bridges went on to be a successful painter and inspirational citizen.We have drawn heavily from Bhamwiki in preparing this post. Bhamwiki, is an encyclopedic resource for anyone curious about Birmingham, Alabama and the region around it. Eleanor Massey Bridges was from Brimingham Alabama. 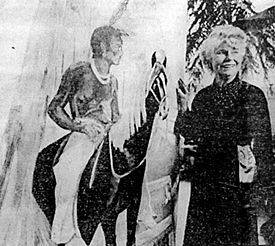 Wanting to be an artist, she studied at the Ogontz School for Young Ladies in Abington, Pennsylvania, where, for a year, she was the roommate of Amelia Earhart. On a whim, she joined a suffragists' parade in Philadelphia, missing an appointment with her school chaperone. The incident nearly led to her expulsion, but she was able to continue at the Pennsylvania Academy and studies sociology at the University of Pennsylvania. During the summer she operated a tractor and filled in as a cook at a local farm, until the lady of the house heard that she was an Ogontz girl and threw a party in her honor. She continued her studies throughout her life, at prestigious institutions such as Harvard, the Sorbonne and the Académie Julian. In Birmingham she took classes at Birmingham-Southern College and Samford University. At the age of 19 she met World War I veteran and aspiring sculptor Georges Bridges at a debutante party in Birmingham. They were engaged within a week, despite the strong objections of her father. They were married at her family house in front of friends while the family remained upstairs, then honeymooned at a camp on the Warrior River. They studied together at the Cincinnati Academy of Fine Arts until their first daughter, Mary Eleanor, called "London", was born. In 1921 they built a large pink stucco house on Edgewood Boulevard where Georges devoted himself to sculpting, soon winning prizes and commissions. They stabled horses to ride through Shades Valley and around Edgewood Lake and summered at Lake George. Soon the couple moved to Paris and circulated in the expatriate community there, which included Tallulah Bankhead, Norman Bel Geddes, Bud Fisher, Ernest Hemingway, and F. Scott and Zelda Fitzgerald. Because of Georges' strong resemblance to the actor Douglas Fairbanks, the two often played pranks on others. They later lived in Greece, Turkey, Morocco and Mallorca, where she founded an art colony. There she met the Duchess of Malta who arranged an exhibition of her paintings in Madrid. 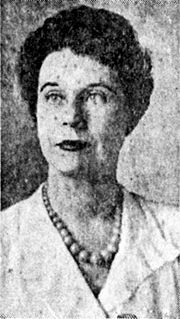 She would later return to Birmingham during the Great Depression and take in 15 abandoned children. 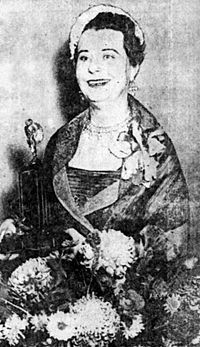 In 1953, she was honored as Birmingham’s women of the year. 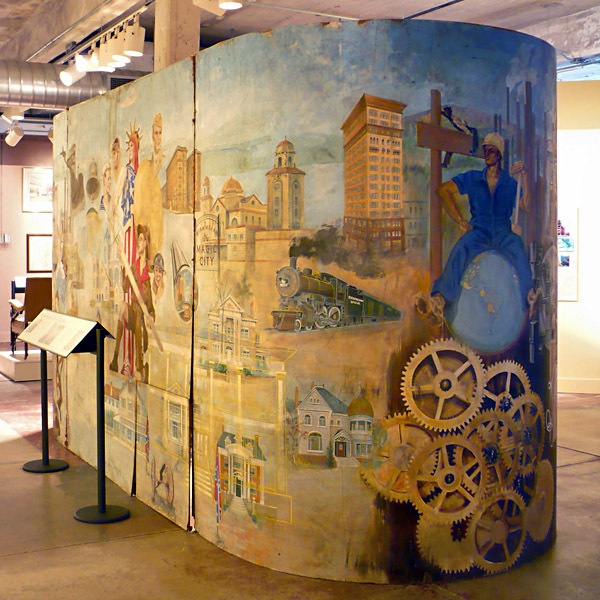 In 1982 She would paint he rmagnum opus, the Cyclorama of Birmingham History which can be seen at the Birmingham History Center. The Cyclorama of Birmingham History is a large, nearly-completed freestanding painting on the surface of a plastered structure, 8-feet-tall, with two flat walls joined by semi-circular end pieces. It was commissioned in 1980 by Gary Smith of the Alabama Historical Foundation and painted by Eleanor Bridges over the next two years. It had been intended for display in 1981, but Bridges refused to work with a deadline, and it took some time to master the peculiarities of the substrate. The work was originally conceived as a mural for the lobby of the Brown-Marx Building, but because the interior walls were clad in pink marble, Bridges proposed the idea of a constructed installation. It was dubbed a "cyclorama" despite not surrounding the viewer. Free to choose the theme of the piece herself, Bridges decided to portray the history of Birmingham through scores of vignettes and portraits, loosely arranged into larger compositions for different historical periods. Warner Floyd helped her to assemble source materials for the composition. The background of the painting features Shades Mountain, Red Mountain and Sand Mountain, encircling the other elements. The motto "We dream of the future, we learn from the past, but we live in the present" was to have been included, but was not part of the completed work. The resulting work is a massive and complexly-organized collage of images from the city’s cultural and technological history. From the Muskogean brave on his chocolate palomino it circles through time to the microcellular manipulations of Southern Research Institute, with every roaring furnace, quivering harp string, glittering ball gown and fluttering flag in between. Surely Bridges intended for her masterpiece to convey a message to the future, to surpass the sum of its myriad parts. But the key to unraveling the mystery has, so far as anyone can tell, been lost. The ghostly penciled image of Brother Bryan hovers over a cluster of church towers on one side. Phantom lines converge into an unidentifiable web on the other. And, staring mutely out at the viewer—taunting us perhaps—sits the infant Vulcan in his apron, rosy cheeked, but sad-eyed, his hammer laid to rest beside his chubby feet. As Bridges' health declined, the work was left incomplete. She died in 1987. The great cyclorama was left unfinished and was never installed at the site for which it was painstakingly designed. It was displayed for a while in the lobby of the BellSouth Building, then placed in storage at the Lyric Theatre. With the opening of the Birmingham History Center at the Young & Vann Building in 2010, it was returned to public exhibition.